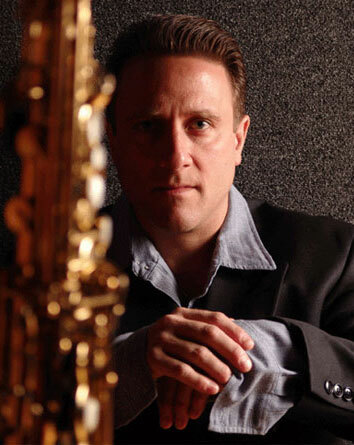 Tony Q. is a saxophonist with over 40 years’ experience and has been performing professionally nationwide for over 30 years. Having been recognized for his exceptional ability many times throughout his musical career, Tony studied at the Berklee College of Music as well as privately with John Payne, Bill Thompson and Dennis Taylor. He began his career working with many popular local Boston rock, R&B, funk, jazz, blues and original bands. His performances have played a part in opening acts for such well-known artists as “Bob Hope,” “The Beach Boys,” “Jon Pousette-Dart,” “America,” “Wilson Pickett,” “Junior Walker,” “Eddie Money,” “The Average White Band,” “David Cassidy” and “Johnny Winter.” Tony has also had the privilege of performing for Presidents Ronald Reagan and Bill Clinton as well as the late Pope John Paul II. He was invited to perform on stage for a set with the late blues legend “Clarence ‘Gatemouth’ Brown” at the former Boston blues venue “Harper’s Ferry.” Tony also performed with “Amy and the Hank Sinatras” at “Vic’s Kangaroo Café” in New Orleans and was invited to join the group at the New Orleans Jazz Festival. He is a long-standing member of the eclectic acoustic rock group “The Jon Frattasio Band” with whom he performed annually at Jimmy Buffet’s “Margaritaville Café” in Key West for over 10 years. With Frattasio, Tony performed live on stage with Peter Mayer (Jimmy Buffett’s lead guitarist and singer-songwriter) and R. Scott Bryan (percussionist/guitarist/songwriter from Sheryl Crow’s premier tour) at a sold-out concert performance at the Norwell Company Theater in Norwell, MA. It was during one of these annual Key West performances where Tony met singer/songwriter “David Goodman,” with whom he now performs sold-out performances all across Florida and the south. In addition to performing as part of these diverse groups, Tony formed his own jazz group “Q’d Up” which performed in several jazz clubs in the Boston area for over 2 years. Continuing in the jazz vein, Tony recorded his first solo jazz CD “Circle of Riffs” in 2003, which has sold very successfully via the internet and at his live performances. His debut CD covers a wide variety of jazz styles from sweet ballads to samba to funk and includes original music co-written by Tony. It is currently available at www.cdbaby.com. In 2006 Tony Q. released his second solo effort entitled “Jammin’ Out West” which is also available at www.cdbaby.com. Once again, this CD features a nice cross-section of instrumental jazz, rock and R&B tunes and is certain to establish Tony as one of the world’s finest sax players. Tony brings a positive, crisp, energetic, passionate and funky groove to every performance. Copyright ©2004-2018 Tony Q. All rights reserved.